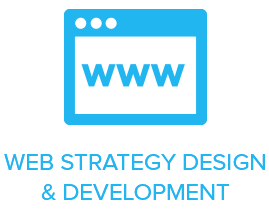 WEBSITES HAVE COME ALONG WAY AND NOW ARE THE MOST IMPORTANT MARKETING TOOL FOR YOUR BUSINESS. THE MOST LIKELY PLACE YOUR POTENTIAL CUSTOMER WILL FIRST LOOK FOR YOU WILL BE THE WEB. THIS MAKES IT ESSENTIAL THAT YOUR SITE NOT ONLY LOOKS GREAT AND IS EASY TO GET AROUND, BUT MOST IMPORTANT OF ALL IS THAT IT IS EASY FOR SEARCH ENGINES TO FIND IT. Duffy creates ‘New-Age Websites’ that are impeccably designed with well thought-out structure and navigation enabling a user to reach information on your site as efficiently as possible. All Duffy sites are developed in HTML 5 high quality compliant code following best practice and web standard. This ensures your site is covered across the various different devices such as desktop, tablet and mobile. We build our sites from ground-up. We make sure we use SEO (Search Engine Optimised) Keywords across all website elements because this assists your site being found by search engines. We also future proof your site and help you understand how your customers are interacting with your site by setting up Google Analytics. This allows ongoing tracking of your website’s performance, so you can see where your customers are coming from and what they are searching for to find your site. This is essential information for further fine-tuning content and for Search Engine Marketing campaigns. We will work with you on an ongoing basis with this information to ensure your website targets are met. Umbraco (when we are developing something a little different that needs to be fully customised). All of these will also help your clients find you and enable you to communicate on a continuing basis with ease.